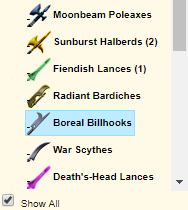 Boereal billhooks are not listed (in centrum or any other hub I can see) atm - [@c=91] although they are craftable. In fact, looking through the list, only a few of the new weapons/armours are listed in the markets. Spears - sunburst halberd, Fiendish lace and Mancleavers . Exotics - all mana, shards and essences. All the remaining "stuff" is unlisted atm. If you tick the "show all" button they should show up; by default it only shows items with buy or sell orders. Was hoping to see "Corrupted Hobbit Tentacles" when i checked that box. 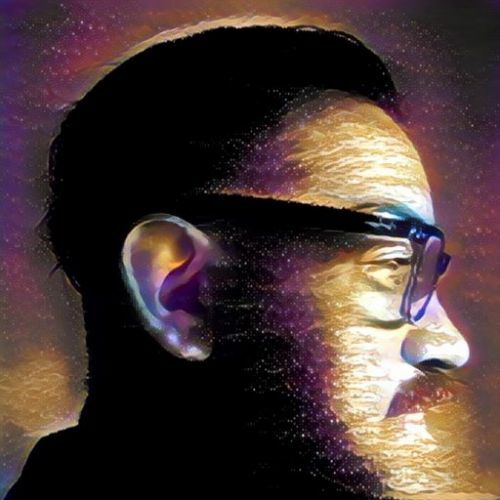 Will need to wait a bit long for that update. Belated thanks for adding the stats and formula back to the icons . Anyone know if Scaled Charger Hearts are good for anything? Scaled Charger Hearts are used to make Prestige Tomes.